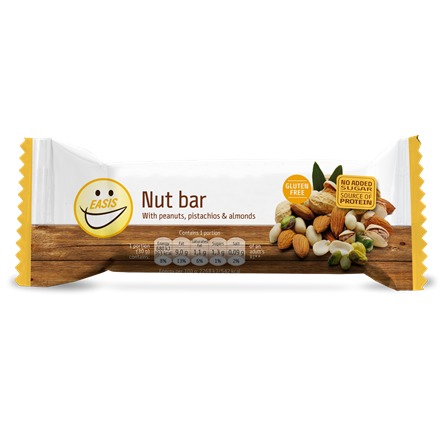 EASIS Free Soft bar with peanuts has a soft bottom filled with proteins and peanuts, caramel flavoured sauce (23,3%) on the top and covered with milk chocolate (21,7%). The bar contains only 110 cal. 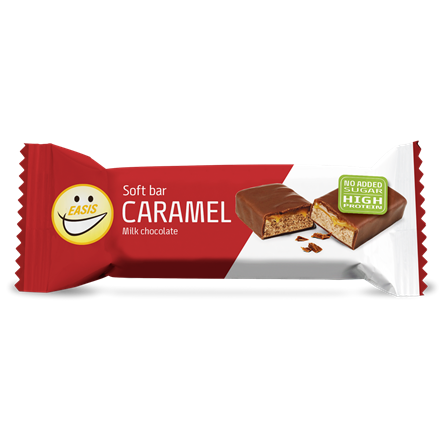 Both protein and fibre content is high - thus Free Soft bar is the perfect, quick snack when you are on the go. Bulking agent (polydextrose), MILK protein, PEANUTS (7,2%), cocoa butter, vegetable fat (palm oil), hydrolyzed gelatine (bovine), SOY flour, dietary fibre (inulin), skimmed MILK powder, sweetener (erythritol 3%), dietary fibre (oligofructose), acidifier (calcium carbonate), cocoa mass, humectant (glycerol), MILK powder, vegetable fat (SOY oil), sweetener (xylitol), SOY protein, WHEAT starch, emulsifier (SOY lecithin), fat reduced cocao powder, flavourings, salt, sweetener (sucralose, steviol glycosides). Bar with peanuts and caramel flavour. Contains sweetener. No added sugar, but with a natural content of sugar. Excessive consumption may have a laxative effect. 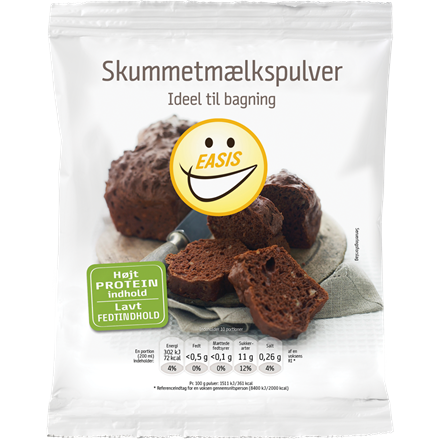 Net weight: 30 g (1 portion). 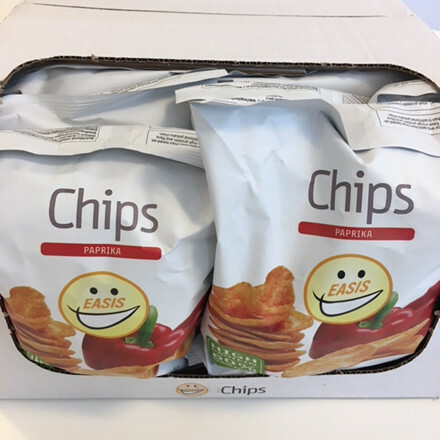 Colli size: 25 x 30 g (25 portions).